Sometimes the best things come in small packages. Case in point: Two Contents, Two Realities by Francis Schaeffer. To call it a booklet would be inaccurate. To call it a pamphlet would be insulting. The worst accusation one could hurl at this work is irrelevant or outdated. Originally published in 1974 as a position paper that was presented at the International Congress on World Evangelization in Lausanne, Switzerland, Schaeffer’s work (as usual) is prophetic, timely, and challenging. His writing aims squarely at the Christian mind but always impacts the heart. And whenever the mind and heart are inflamed by Christian truth, the hands and feet are quick to follow. 1) There must be a strong emphasis on content. 2) There must be a strong emphasis on the propositional nature of the Bible, especially the early chapters of Genesis. 3) There must be a strong emphasis on the practice of truth. Anyone who takes a serious look at the church in the 21st century must admit that we have clearly moved away from these important components in Schaeffer’s system. 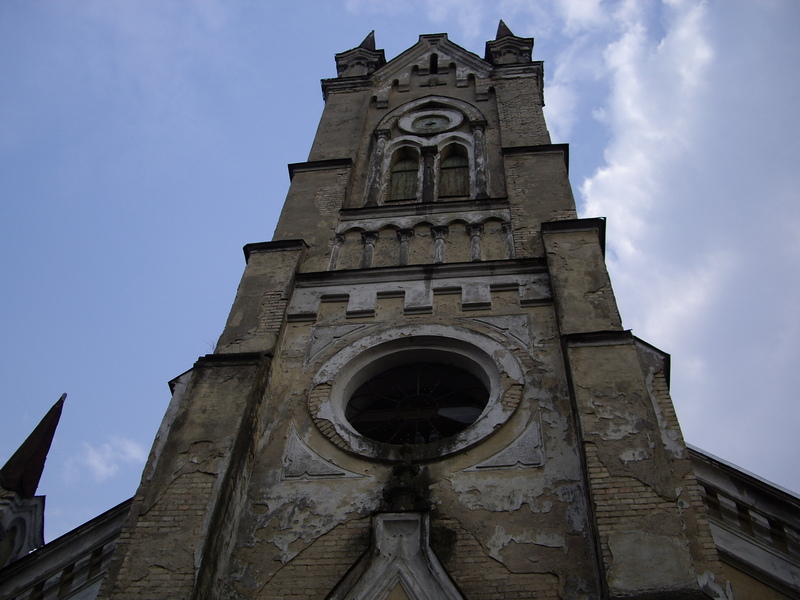 Theology is marginalized in most churches. Propositional truth is relegated to modernity and cast aside in favor of mysticism and existentialism. And while practicing the truth may be in vogue, one wonders which truth is being practiced given the shaky epistemological groundwork. Herein lies the rub. Since historic Christianity is the truth (what Schaeffer calls elsewhere, “true truth), it must therefore “touch every aspect of life.” Difficult questions may be challenging, but answers must be given nonetheless. Forever gone are the days when one answers, “You must just believe.” Such a mindset is tantamount to blind faith – which in all reality is no faith at all! 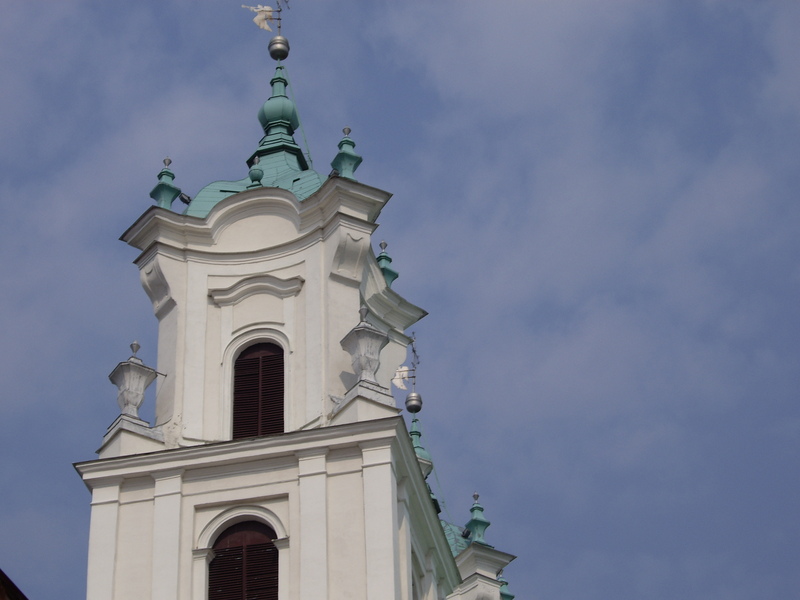 The church must address cultural questions as well as questions that come from within. Schaeffer maintains that in order for this to take place, there must be sufficient training in both the church as well as the academy. Francis Schaeffer’s understanding and exposition of two contents and two realities is very helpful as one seeks to make inroads with secular people. I commend it and trust that this excellent work will be read and digested by many. First, Miller suggests, “Disengage your ego from your ideas.” This point is well taken because many times a particular view is so tied to one’s ego that it becomes virtually impossible to separate fact from fiction. Second, Miller encourages, “Understand there is much you don’t understand.” He rightly adds, “We begin to think in black-and-white when we assume we know everything.” While he does not press the point of Christian humility (as he should – pardon the black- and white thinking), it seems to be a part of his overall argument. Third, Miller seems to argue in essence, that charity and grace ought to be a part of conversations and even arguments. This implied pointer ought to be a part of daily life, where conversations and arguments produce more light than heat and stimulate deeper thinking about a given subject. There are four problems that emerge, including unwarranted assumptions that must be dismantled. But this is not necessarily the case. One can advance a dogmatic view but do so in a humble, yet decisive way. After gaining a hearing with the philosophers in Athens, Paul presents an argument that could be construed as black-and-white: “The times of ignorance God overlooked, but now he commands all people everywhere to repent, because he has fixed a day on which he will judge the world in righteousness by a man whom he has appointed; and of this he has given assurance to all by raising him from the dead” (Acts 17:30, ESV). Paul does polarize his audience. Notice their response. “Now then they heard of the resurrection of the dead, some mocked. But others said, ‘We will hear you again about this'” (Acts 17:32). The polarization that occurs is a necessary part of proclaiming the gospel message. “For the word of the cross is folly to those who are perishing, but to us who are being saved it is the power of God” (1 Cor. 1:18, ESV). Jesus employs a similar strategy when he confronts the Jews in John 8: “Whoever is of God hears the words of God. The reason why you do not hear them is that you are not of God” (v. 47, ESV). Jesus does not demonize his hearers. He merely tells them the truth. Again, polarizing – but necessary. These Jews maintained, “We are offspring of Abraham and have never been enslaved to anyone. How is it that you can say, ‘You will become free? '” (John 8:33, ESV). Jesus polarizes his Jewish audience when he says,”Truly, truly, I say to you, everyone who commits sin is a slave to sin” (John 8:34, ESV). Oh, the horror of polarization! But Jesus does not leave them without hope. He adds, “So if the Son sets you free, you will be free indeed” (John 8:36). I would argue that when people are polarized, this can prove to be very helpful. When a truth claim is presented, one either accepts or rejects the claim. If one accepts the claim but disagrees, thoughtful dialogue may continue. So instead of “stunting progressive thought” and “stunting our ability to think and find truth” as Miller claims, black-and-white thinking can actually lead to the discovery of truth. Miller continues in his diatribe against black-and-white thinking: “It [black-and-white thinking] allows us to feel intelligent without understanding, and once we are intelligent, we feel superior. People who don’t agree with us are just dumb.” Honestly, Miller’s charge may prove quite accurate at times. It is true that black-and-white thinking may lead to arrogant behavior and a haughty spirit. But this does not have to be the case. One can embrace and promote a dogmatic view and do so in a spirit of gentleness and humility. This much is demanded in the Scripture. Scripture instructs believers to “speak the truth in love” (Eph. 4:15) and demonstrate compassion, kindness, humility, meekness, and patience with one another (Col. 3:12). Additionally, God’s Word instructs believers to speak in a way that demonstrates gentleness and respect (1 Pet. 3:16). Paul admonishes Timothy, “And the Lord’s servant must not be quarrelsome but kind to everyone, able to teach, patiently enduring evil, correcting his opponents with gentleness …” (2 Tim. 2:24-25a). In other words, there is a place for admonition (which by the way requires black-and-white thinking). But the admonition must be laced with gentleness and kindness. For instance, Jesus says, “I am the light of the world. Whoever follows me will not walk in darkness, but will have the light of life” (John 8:12, ESV). What is Jesus saying here? He graciously tells his listeners that if they reject his lordship, they will walk in darkness. Again, he polarizes his audience but speaks the truth in love. There is no hint of arrogance. Indeed, this is the sinless Son of God! Jesus adds, “I told you that you would die in your sins, for unless you believe that I am he you will die in your sins” (John 8:24, ESV). It is simply naive to automatically assume that black-and-white thinking inevitably leads to arrogance. Christ-followers, then, must make truth claims with boldness and humility. Recognizing the danger of pride and arrogance, they must season their words with grace and gentleness. They must be winsome in their approach to communicating the truth. This point is implied when Miller encourages people to walk away from a conversation that becomes characterized as black-and-white. He says, “When the conversation becomes about defending one’s identity, it’s time to politely move on.” He goes on to say that “these discussions go nowhere and don’t help me find truth.” Miller unfairly draws a conclusion that black-and-white arguments result in “defending one’s identity.” This is certainly a possibility – but is not inevitable. A few years ago, Whoopi Goldberg and Joy Behar walked off their own set on The View when the conversation got heated with Bill O’Reilly. They walked away from a black-and-white conversation as Miller encourages. O’Reilly who was and is usually unashamedly black-and-white was construed as an uncaring and insensitive person, based on some comments he made about the 911 attacks. Some would argue that Miller’s prediction came to pass; that O’Reilly’s strong stand was tied to his identity. The fact is that when Goldberg and Behar made their exit, the dialogue stopped – and became even more heated and controversial. Moreover, O’Reilly was not the only person on the set who promoted black-and-white thinking! Built into the framework of Miller’s argument is at the very least, an implicit suspicion of certainty. Since Miller admits the existence of absolute truth and since he rejects relativism, he must embrace that some truth is certain. But where will this suspicion of certainty lead in the long run? I am less concerned with Don Miller at this point. He’s too smart to make absolute statements against absolute truth. What concerns me is what some will do with his antipathy to black-and-white thinking. What concerns me deeply are those who take the next step into uncertainty because they have not examined the logic (or irrationality) of their presuppositions. What concerns me is that full-fledged relativism is just around the corner. John Piper sums up the essence of relativism: “No one standard of true and false, right and wrong, good and bad, or beautiful and ugly, can preempt any other standard. No standard is valid for everyone” (Think: The Life of the Mind and the Love of God, 98). This relativistic way of thinking is knocking on the door of the church and in some cases has already barged in. Fuzzy thinking will not fly when it comes to raising children: “Please be home by 10:00 p.m. or feel free to do whatever you want.” Fuzzy thinking will not fly when a police officer stops you for speeding. Fuzzy thinking doesn’t work very well at the bank. It doesn’t work on the basketball court. And it certainly does not fare well on the operating table. Fuzzy thinking will always lead to a bad grade in philosophy class (and every other course). Fuzzy thinking cannot stand up to the brutal reality of absolute truth. “Whoever believes in the Son has eternal life; whoever does not obey the Son shall not see life, but the wrath of God remains on him” (John 3:36, ESV). “But whoever drinks of the water that I will give him will never be thirsty forever. The water that I will give him will become in him a spring of water welling up to eternal life” (John 4:14, ESV). “God is spirit, and those who worship him must worship in spirit and truth” (John 4:24, ESV). If fuzzy thinking does not work in the real world, then it certainly does not work in the midst of persecution. The martyrs of historic Christianity lived and died because of black-and-white thinking. On his way to martyrdom, Ignatius wrote seven black-and-white letters that have proven to be very valuable documents to help our understanding of early Christianity. When the judge threatened him with burning him alive, Polycarp simply answered that the fire that was about to be lit would only last a moment, whereas the eternal fire would never go out. After Polycarp was tied to the post in the pyre, he looked up and prayed out loud: “Lord Sovereign God . . . I thank you that you have deemed me worthy of this moment, so that, jointly with your martyrs, I may have a share in the cup of Christ . . . For this . . . I bless and glorify you” (Justo L. Gonzalez, The Story of Christianity – Volume I, 39-48). And consider the example of William Tyndale. Tyndale courageously opposed anyone who quenched the work of the Spirit or despised God’s Word. Again, Spirit enabled black-and-white thinking fueled his resolve. Miller argues that black-and-white thinking would never make it “through the door of an undergraduate course in logic.” Much to the contrary, the law of non-contradiction teaches us that a statement and its opposite cannot both be true at the same time and in the same sense. Ron Nash reminds us, “The presence of contradiction is always a sign of error. Hence, we have a right to expect a conceptual system to be logically consistent, both in its parts (its individual propositions) and in the whole. A conceptual system is in obvious trouble if it fails to hang together logically” (Worldviews in Conflict, 55). In other words, every worldview needs to be subjected to the law of non-contradiction. When a contradiction emerges, the worldview must be abandoned. Without black-and-white thinking, this worldview test passes by the wayside and discernment vanishes. The root of this discussion concerning black-and-white thinking is tied to the formation of a worldview. And in order for a worldview to be plausible, it must be able to be lived out in the real world. Francis Schaeffer reminds us, “We must be able to live consistently with our theory” (The God Who is There, 121). So in the final analysis, black-and-white thinking is not problematic. Indeed, black-and-white thinking is not only philosophically tenable; it is an essential part of living the Christian life. Without black-and-white thinking, it would be impossible to choose between two competing alternatives. Without black-and-white thinking, theological and philosophical assertions would all receive equal acclaim, which is to say that truth at the end of the day is a matter of personal preference. Whenever someone begins to back away from absolutes, reason and logic suddenly become unwelcome in the house of irrationality; a house that is destined to collapse under its own weight. Peter Kreeft demonstrates the importance of logic: “If an argument has nothing but clear terms, true premises, and valid logic, its conclusion must be true” (Socratic Logic, 32). Fuzzy thinking, however, tends to minimize the role of reason and logic, which at the end of the day proves not only unrealistic, but irrational. Additionally, fuzzy thinking militates against the Law of the Excluded Middle. James Nance and Douglas Wilson define this law: “Any statement is either true or false … it excludes the possibility of a truth value falling somewhere in the middle of truth or false” (Introductory Logic, xi). Here’s the funny thing. I am quite certain that Miller embraces these philosophical laws. The problem is when he discourages black-and-white thinking, he unwittingly begins to whittle away at laws of logic which flow from the nature of God. The downhill descent eventually leads to full-blown relativism. Again, I am not concerned so much with Miller. I am convinced that he would never go this route. I am concerned, however, with those who are convinced by his arguments against black-and-white thinking. Black-and-white thinking should be encouraged on biblical, philosophical, and practical grounds. Sometimes, such thinking is criticized as “hair-splitting.” Yet this black-and-white “hair-splitting” was indispensable as Athanasius challenged the arch-heretic, Arius. This kind of thinking was a necessary part of formulating the doctrine of the Trinity and affirming the two natures of Christ; i.e. fully God and fully man. Black-and-white thinking led to the formation of the major creeds and catechisms including the Apostles’ Creed, Nicene Creed, Chalcedonian Creed, the Heidelberg Catechism, and the Westminster Confession of Faith. Black-and-white thinking should be encouraged. For whenever black-and-white thinking is discouraged, the net result is theological error and irrationality. Francis Schaeffer warned the church in 1968: “We are fundamentally affected by a new way of looking at truth. This change in the concept of the way we come to knowledge and truth is the most crucial problem facing America today” (The God Who Is There, 6). In other words, “absolutes imply antithesis.” The working antithesis is that God exists objectively (in antithesis) to his not existing. The loss of antithesis (or repudiating black-and-white thinking) in American culture led to what Dr. Schaeffer coined the “line of despair” or giving up all hope of achieving a rational unified answer to knowledge and life. Christ-followers who recognize that truth is unified understand this fundamental reality: They know that black-and-white thinking is essential to the Christian life. They recognize real good and real evil: “Ponder the path of your feet; then all your ways will be sure. Do not swerve to the right or to the left; turn your foot away from evil” (Prov. 4:26-27, ESV). “Whoever is steadfast in righteousness will live, but he who pursues evil will die. Those of crooked heart are an abomination to the LORD, but those of blameless ways are his delight. Be assured, an evil person will not go unpunished, but the offspring of the righteous will be delivered” (Prov. 11:19-21). “Whoever speaks the truth gives honest evidence, but a false witness utters deceit” (Prov. 12:17). For instance, Jesus proclaims a series of woes on the Pharisees in Matthew 23. His black-and-white thinking is actually stunning. Yet at the end of chapter 23, we find him lamenting over Jerusalem: “O Jerusalem, Jerusalem, the city that kills the prophets and stones those who are sent to it! How often would I have gathered your children together as a hen gathers her brood under her wings, and you would not!” (v. 37). On the one hand, Christ-followers must maintain their commitment to absolute truth claims. They must do so vigorously and decisively. They must boldly proclaim the truth in the marketplace of ideas. And they must point to Christ, who is the essence of truth, apart from whom, knowledge is impossible. I hear what Don Miller is saying and I suspect that he’s concerned with Christ-followers who demonstrate less than loving behavior. He would be right to be concerned. Indeed, Christ is the most loving person that ever existed or will ever exist. But Christ was also a black-and-white thinker. The prophets were black-and-white thinkers. The apostles were black-and-white thinkers. And the martyrs were black-and-white thinkers. Miller’s position could be construed to mean something like this: “We need less truth and more love and grace.” I am quite confident that this is not his intention. Similarly, my position could be construed to promote the following: “We need less love and more truth.” Of course, this is not my argument either. Rather, as Christians, we are called to both! We are called to speak the truth – and we are called to engage in this ministry of proclamation with love, gentleness, and humility. The funny thing is that Miller uses black-and-white thinking to argue against black-and-white thinking. So at worst, his argument is self-refuting. At best, perhaps there is hope for the future because, in the final analysis, Miller embraces black-and-white thinking after all! If Miller is concerned primarily with the promotion of personal opinions, fine. If he is concerned with soliciting dogmatic statements in gray areas that concern cultural matters like music and one’s choice of the best Italian restaurant, I have no quarrel. But when it comes to matters of eternal significance, black-and-white thinking is essential. We live in a world of absolutes. And absolutes demand humble and decisive proclamation. May Christians continue to proclaim and defend black-and-white propositional truth to the glory of Jesus Christ. My black-and-white proposal: Farewell to fuzzy thinking! Francis Schaeffer has an extremely high view of the church and great expectations as any Christian should. He details some solemn responsibilities that the church of Jesus Christ must consider. Schaeffer’s primary assertion is that Scripture mandates eight specific norms for the New Testament church (The Church At The End Of The Twentieth Century, 51-60). 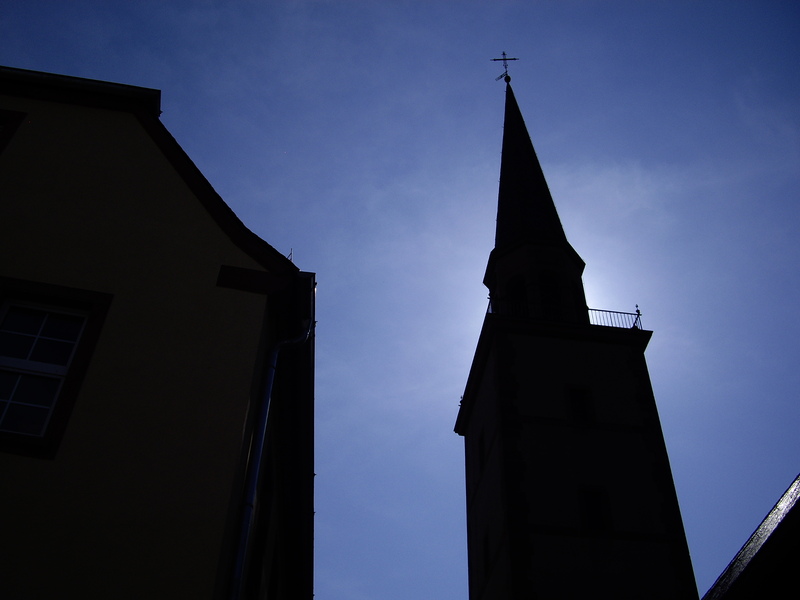 The first norm: Local congregations are to exist and should be made up of Christians. Schaeffer would have clearly opposed the so-called seeker sensitive movement that is so prevalent in the church today. While he believed that the church ought to evangelize the lost, he would have had real problems with the present day fascination of catering to the non-believer. Second, Dr. Schaeffer believed these congregations ought to meet in a special way on the first day of the week. He clearly has Sunday as the specific meeting day in mind, although I am inclined to think that Schaeffer would be comfortable with the new trend toward Saturday evening services and the like. The critical issue for him was that the church met regularly each week. Third, the church should have elders who have a responsibility to shepherd the flock of God. Fourth, there should also be deacons responsible for the community of the church in the area of material things. Fifth, Schaeffer strongly believed that these elders and deacons should be qualified in accordance with the Pauline standards set forth in 1 Timothy 3:1-13 and Titus 1:5-9. The sixth norm is that the church must engage in church discipline. Schaeffer goes to great lengths to show the necessity and benefits of church discipline in accordance with the principle set forth by Jesus in Mathew 18. Schaeffer explains, “The New Testament stresses such purity, for the church is not to be like an ameba so that no one can tell the difference between the church and the world. There is to be a sharp edge. There is to be a distinction between one side and the other – between the world and the church, and between those who are in the church and those who are not” (The Church At The End Of The Twentieth Century, 57). He writes in no uncertain terms: “For a church not to have discipline in life and doctrine means that it is not a New Testament church on the basis of the New Testament norms” (The Church At The End Of The Twentieth Century, 57). Finally, Schaeffer declares that a vital mark of the church is the administration of two ordinances: baptism and the Lord’s Supper. These seven norms are non-negotiable principles in the thinking and ecclesiology of Francis Schaeffer. These norms are commanded by God. Any church that fails to engage in even one of these crucial norms forfeits the right to be called a true church. However, Dr. Schaeffer believes there are many areas in which the church is left free. There is a form and there is also a freedom. “It is my thesis that as we cannot bind men morally except where the Scripture clearly commands (beyond that we can only give advice), similarly anything the New Testament does not command concerning church form is a freedom to be exercised under the leadership of the Holy Spirit for that particular time and place” (The Church At The End of The Twentieth Century, 59-60). 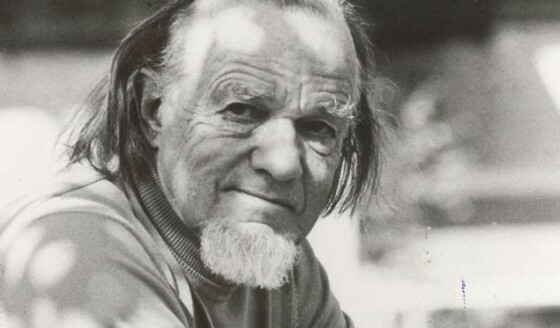 In many ways, Francis Schaeffer may be considered very conservative in his approach to “doing church.” But in other ways, he is a bit of a radical. His views on form and freedom leave room for creativity, spontaneity and a wide variety of ministry options.